Welcome to another fine instalment of Field of view, the only place to catch up on the week's VR and AR news. This week, we're talking VR sales and how they're picking up going to into the holiday rush. A big name game studio has shown off one of the first paid apps for Magic Leap, plus we have a well-received cinematic VR experience that's now available for everyone to try out. Along with the big VR and AR headlines, we've also picked out a VR game that you definitely need in your life right now. That's according to the latest report from analyst firm IDC that suggests global shipments hit 1.9 million in Q3 2018 after reporting a decline in previous quarters. Standalone headset sales grew 428.6%, accounting for 20.6% of the headset market. That's largely down to the launch of the Oculus Go and Xiaomi Mi VR headsets. Sony shifted 463,000 PS VR headsets, meanwhile, with Oculus Rift sales hitting 300,000 and HTC's Vive selling 230,000. As far as AR is concerned, Lenovo shipped 23,000 headsets, with its Star Wars Jedi Challenges headset featuring prominently in those sales. But it's good to hear that VR sales are picking up. Those sales no doubt grew off the back of Black Friday and Cyber Monday, too, which will be factored into the next quarter. With Magic Leap's first headset now available, we eagerly awaited the flood of games and experiences that would put the augmented reality tech to good use. Games studio Insomniac Games, who recently flexed its game making skills on the brilliant Marvel's Spider-Man game, has unveiled its first Magic Leap game, and it's all about plants. Seedling is all about growing, well, a seedling in real time. Placing virtual plants around your office or home, your task is to nurture the plants to life and protect them from diseases that exist in the atmosphere. It's not quite web slinging across big cities, but it's a big positive to see a game studio of this size getting to grips with Magic Leap's platform. YouTube and National Geographic are teaming up for a series of VR projects, with the first being made available on 11 December. First up is a four-part series called The Okavango Experience, wjicj follows an expedition of Africa's Okvango Delta. Expect to take in plenty of wildlife sights, including lions and elephants. Each episode lasts for around five minutes and can be viewed on National Geographic's YouTube channel, the National Geographic website and via the Google Daydream VR app. You can catch the next episodes as they are released weekly on Tuesdays. In 2019, the collaboration will bring to life two more VR series for you to enjoy. Facebook this week announced the dates of its annual developer conference, which will fall on the 30 April and 1 May. 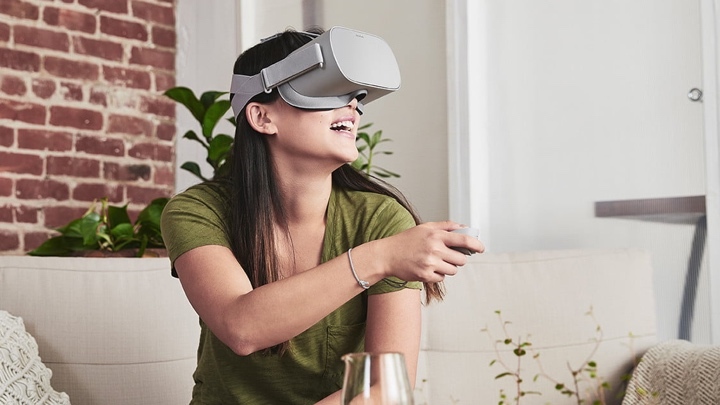 At this year's conference, the company launched the Oculus Go standalone VR headset and with its Quest headset tipped for a Spring 2019 release, F8 2019 could be prime time for the new headset. The standalone VR headset is set to cost $399 offering Rift-like graphics and will launch with 50 titles. After getting some love at Cannes, New York Film Festival and Raindance, Start VR's cinematic VR experience AWAKE: Episode One is now available for everyone to enjoy. Episode One tells the story of protagonist Harry, who is obsessed with discovering the truth behind the recurring dream of a strange pattern that contains a cryptic message. The experience, which can be downloaded from Steam and Viveport, lasts approximately 20 minutes and is only compatible with Vive and Vive Pro headsets. It's coming to Windows Mixed Reality headsets in early 2019, with Oculus support planned after that. The best VR games are often the ones that keeps thing simple. This game is essentially about rolling a ball around, but there's a bit more to it that makes it worth donning your PSVR or PC-powered VR headset for. It uses head tracking, taking advantage of your gaze to get the ball from one end of the track to the other in the watercolour-looking worlds. It'll instantly remind you of games like Super Monkey Ball and Marble Madness and with the ability to play across all major VR platforms (Oculus Rift, Oculus GO, HTC Vive, HTC Vive Focus, PlayStation VR, Samsung Gear VR, and Microsoft-Windows Mixed Reality), pretty much everyone can give Arca's Path a go.